Find the perfect teacher or instructor in University for private mandolin lessons in your home or in their studio. I am originally from Northeast Kansas, where I started playing guitar and studying music at the age of 9. While studying guitar, I had several influential teachers, including internationally renowned finger-style guitarist, Andy McKee, and University of Montana Professor of Music and Classical Guitar, Dr. Luis Millan. Later, in my teens, I also began playing the Banjo, Mandolin, accordion, and other various instruments. While attending college at Washburn University in Topeka, KS, I began teaching private music lessons to students of all ages, and experience levels in Northeast Kansas. During this time, I also recorded and regularly performed with my bluegrass/country/cajun band. I relocated to the Denver, CO area in the spring of 2011 after completion of my degree from Washburn University. I continue to teach private music lessons in the Denver metro area. I create fun / structured lessons plans, according to each students' musical interests and experience level. I believe students should be challenged, but also enjoy what they are practicing. I will make sure that beginning students are able to demonstrate and understand various basic to intermediate concepts of music. My goal is that my students will become well-rounded knowledgeable musicians, and will be able to comfortably play and perform with other experienced musicians. I am an easy-going teacher that will make sure students are learning a wealth of information about music, while having a good time doing it. doesn't really have a studio but could teach out of his home if student really wanted to go. I can provide Music Stand, amplifier, chords etc. I can teach a variety of styles of music, including but not limited to, jazz, pop, rock, bluegrass, country, cajun/zydeco etc. I teach music theory/ site reading, flat pick guitar/finger-style guitar, Scruggs style banjo playing, improvisation, etc. After more than 30 years since I last picked up the banjo Spencer did a great job of getting me reacquainted with it in a easy going, yet effective way. Excited to continue down the path with him as my tour guide ! Spencer is an outstanding teacher. Very patient and very knowledgeable of both music and the banjo. I'm having a great time and learning faster than I expected. Great! I learned so much in a very short time and now I am off to a great new start! 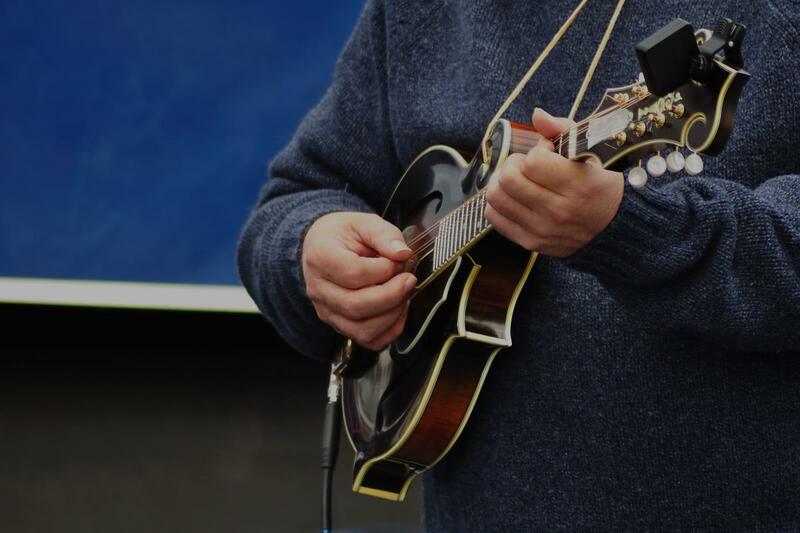 I offer mandolin lessonsw for children and adults of all levels, from first time players to very advanced players. I offer lessons mainly encompassing Bluegrass style mandolin. I can also teach other genres such as Celtic music or Folks music. I can provide a complete curriculum including tabs/sheet music or I can can give personalized lessons on skills or music of your choice. I can teacher material in both standard notation and tablature as well as learning to play by ear. I can also prepare students to play in bands and jams. I am a professional teacher and performer in Boise, Idaho. I have been teaching guitar, banjo, and mandolin professionally since 2004. I have performed on all of these instruments and have played at numerous music festivals throughout the United States as well as teaching at many music camps on the West Coast. I am currently performing in bands on electric guitar, banjo, and mandolin as well as recording sessions with many many excellent musicians. Helped me learn the basics of guitar and has helped me to learn songs that I like on my own. Very friendly and helpful. I have been taking guitar and mandolin lessons from Victor for around two years. I had originally started on guitar and eventually became interested in learning mandolin. He has been nothing short of accommodating both in my schedule and musically. Highly Recommended.